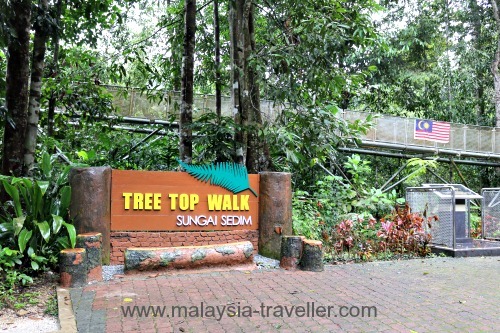 Tree Top Walk Sungai Sedim is the world’s longest rainforest canopy walk with a length of 925 metres and a height of 26 metres up above the forest floor at its highest point. The walkway follows a roughly rectangular shape and crosses the river twice. 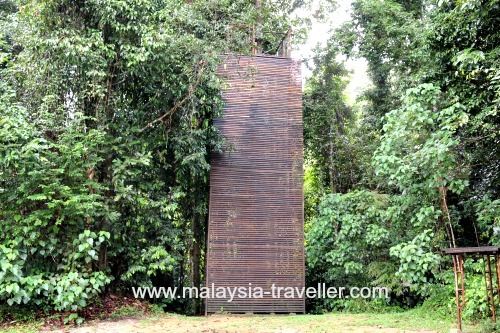 t is located in the unspoilt scenery of Sungai Sedim Recreational Park, about 30 minutes drive from the town of Kulim in Kedah. It took 14 months to build and was completed in March 2005. It is a substantial structure made from steel pylons and trusses which together weigh a massive 422,214 kg according to a notice in the ticket office. 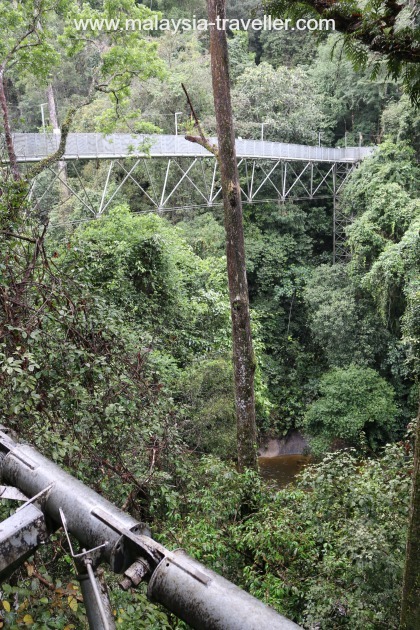 Some might argue that this is more like a pedestrian suspension bridge and not a proper canopy walk since it is not attached to the trees. However it does provide a bird’s eye view of the roof of the forest and, since it is self-supporting, it does not damage the trees. Also, even thought he walkway is made of a sturdy steel grille, it does sway and wobble somewhat which children will enjoy although some vertigo sufferers might find this disconcerting. Here is a quick video to give you an idea of what to expect. 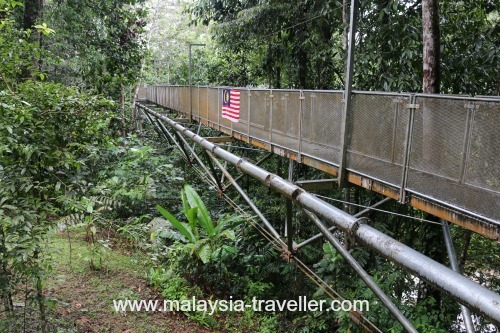 Malaysia must be the canopy walk capital of the world. 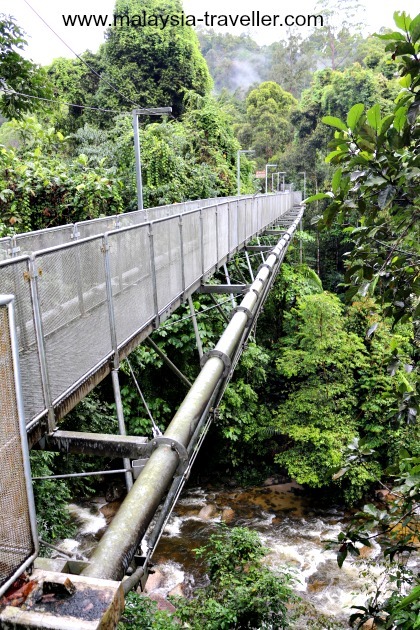 Canopy walks have become popular eco tourism attractions in countries such as South Africa, Australia, Costa Rica and USA but no country on earth can compare with Malaysia when it comes to the sheer number and size of rainforest canopy walks. Let me know if I have missed any out. Hiking. 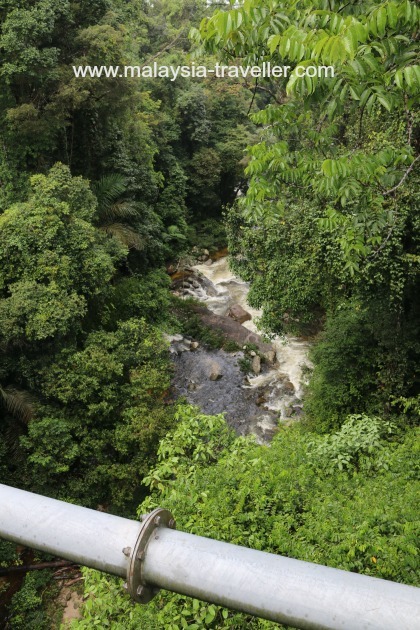 According to a map next to the Tree Top Walk, there is a trail to Gunung Bintang, 1862 m, via Lata Riau. The distance shown is a very challenging 14.2 km (one way). 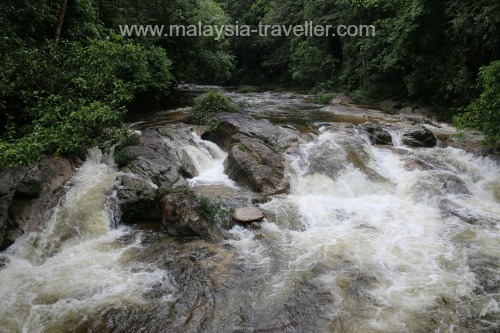 Another trail passes a number of Lubuk (swimming holes) including the intriguingly named Lubuk 3 Beradik (three sisters). White Water Rafting. The turbulent Sungai Sedim offers exciting white water rafting opportunities for the adventurous. The Tree Top Walk is open daily from 9am to 5.30pm, weather permitting. Entrance is RM10 for adults and RM6 for children aged 7 - 17. Concessions are available. I have marked the location on the map on my Top Kedah Attractions page. 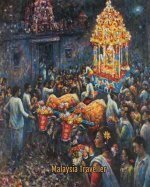 If you are driving, find the K115 highway between Kulim and Mahang and look out for signs to Sungai Sedim not far from Karangan. 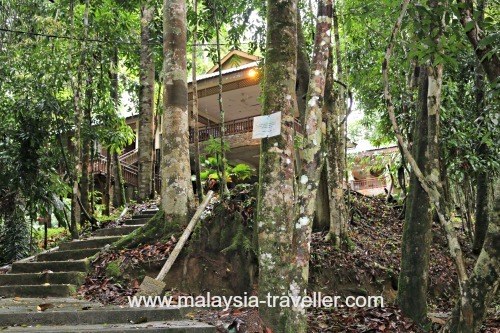 There is a resort located next to Tree Top Walk, the Sedim Rainforest Resort. They have chalets (look very nice), dormitory accommodation and camping facilities. They also arrange activities and team building packages. Details of these activities can be found on their website. 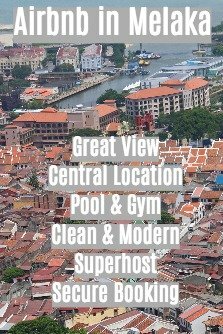 If you prefer to be closer to ‘civilisation’, you can find hotels at discounted rates in nearby Kulim on Agoda’s website.